If one thing's certain, it's that the smart home market is open for the taking. There are plenty of devices available to consumers, but no single platform to link them all together. We've recently seen the introduction of Apple Homekit, Samsung SmartThings, Zigbee, Z-Wave, and now we have Nest Weave. Previously only used exclusively in Nest products, the company has now opened it up to developers. The communication protocol allows devices to talk directly to each other. This will have a positive impact on power consumption (very useful for battery powered devices), and reduces latency, making everything snappier and reducing the load on your stressed WiFi router. Developers can integrate their products into the Nest App, so, for example, you can turn your Philips Hue light bulbs on and off from the Nest app (but more detailed control requires the dedicated app). If Weave sounds familiar to you, that's because it is. "Google Weave", a connected home protocol was announced in June 2015 at the I/O Developer Conference. Don't get the two confused though, they're actually two separate systems. However, Google and Nest are working together to ensure that products built on either platform will work together. The first Works with Nest product to use Weave is the new Linus Lock by Yale. The smart lock will let you check if the door is open or closed, set up passcodes providing different levels of access, receive smartphone notifications, and remotely lock and unlock the door. 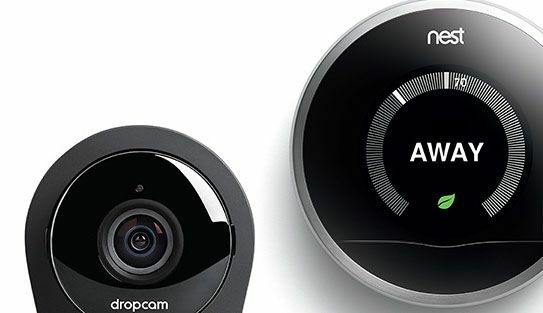 As well as Nest Weave, the company has also released a Nest Cam API, allowing developers to connect their products to the IP camera. Philips Hue has already signed up for Nest Cam integration, improving security and awareness in the home with the ability to automatically turn on lights if it senses motion. Finally, the company also announced a new online store (and a section of the app) which displays and sells all Works with Nest products in one place. Nest's position in the smart home market is strong, whereas SamsungSmartThings requires users to buy an additionalhub, Nest is already in a number of homes through deals with nPower. If users only needto buy a light bulb here, and a smart lock there, it will make building a connected home much more simple, but the success of the platform dependson how open it is, and how many companies develop for it.